i don't think thats the problem. 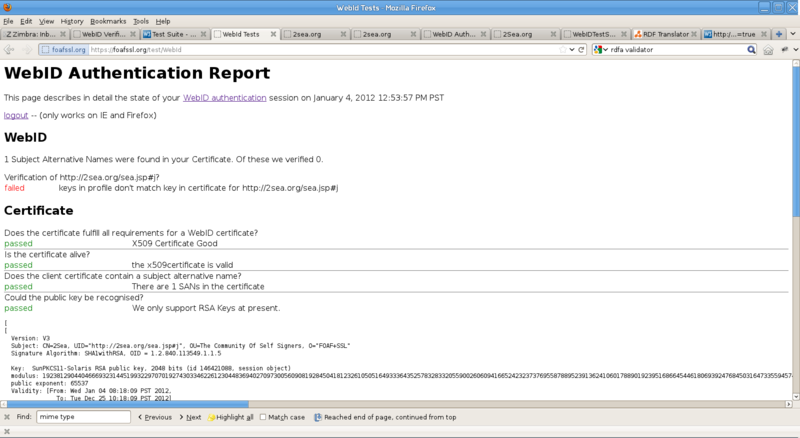 now the test fails because it assumes that the key from the profile and the key from the certificate are not equal. please also take a look at the source code from http://2sea.org/sea.jsp#j to see how it looks there. 4. replace all whitespaces by "nothing"
the URI, not newlines in between. So the other parsers are not conforming to spec at this level.